Founder & Director @ FreeHour. 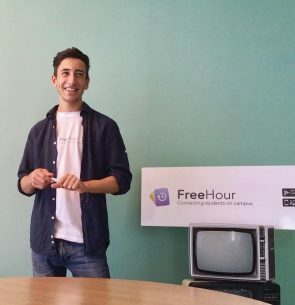 Back in 2015, at the age of 18, Zach Ciappara founded FreeHour, a mobile application that allows University and College students to share their timetable / schedule with their friends, solving the difficulty of finding common free slots to meet up, study or grab a bite on campus. After winning a local start up fund to be further developed, FreeHour took the local market by storm, with over 80% of the Maltese student population using it as their go-to student app. FreeHour will be exploring international markets as of 2019 with the aim of growing its student user base overseas.